Last week on Palm Sunday there was a horrific bombing of two Coptic Orthodox Churches in Egypt, killing 44 people and injuring more than 100. Imagine, going to church to celebrate Palm Sunday and begin Holy Week, and experience the terror of such horror and violence. It’s the epitome of the evil that exists in the world. ISIS took credit for the bombing, as they try to create more chaos, division, and hatred between Christians and Muslims. Yet in response to this attack, on the following night of Holy Monday, Fr. Boules George, a Coptic Orthodox priest preaching in the main Cathedral of St. Mark in Cairo, Egypt, offered an unbelievable sermon. He did not call for revenge or even justice, instead he highlighted three elements of our faith that surely will be incomprehensible to ISIS fanatics, as well as to many others who don’t understand Christianity. Fr. George first said “Thank You” to the terrorists. Thank you because the martyrs received the honor to die like Jesus Christ. They died for the glory of God. Just as Jesus prayed the night before he was crucified, “Father, the hour has come. Glorify your Son so your Son may glorify You,” these Coptic Christians also glorified God through their martyrdom, a martyrdom that will carry them into the kingdom of heaven. It’s hard to imagine thanking someone for committing such an atrocity, and yet this Coptic priest turned this horrific act upside down, and found something good from such evil. The second point Fr George highlighted was that “We love you!” Yes, he was saying that the Coptic Christians love even the people of ISIS, just as God loves all people. We may hate evil and violent actions, but we love the people, because we understand that even these people are created in God’s image, and are God’s children. He noted how Jesus taught His followers to ‘love their enemies’ and that in fact, Christians should never even have enemies. Others may consider us their enemies, as ISIS considers Christians, but Christians don’t have enemies, no matter what others may do to us. We love others, including those who hate us, because God loves us unconditionally. Of course, most people won’t understand such love, and yet this is what agape love, divine love truly is! The final point of Fr. George’s sermon reminded his listeners to pray for those who hate them and want to do violence to them. We don’t curse others, don’t speak evil of them, but we pray –pray that such people may have their eyes and hearts opened to God’s love, and discover the path of life. Pray that they may understand that we can “thank” our enemies, that we will love our enemies, and that we hope they will discover this path of life in the One True God. What a sermon to give the day after such a tragedy. Imagine giving this sermon the day after 44 people are killed and hundreds other terrorized and traumatized. It took incredible courage and boldness of Fr. Boulos George to offer this sermon, and yet, he was simply summarizing, in a powerful and living way, what we celebrated during Holy Week. As we journeyed through all the services this past week, what did we experience? We lived through the unjust passion, suffering, torture, and death of Jesus Christ. It is horrific to think how Jesus was unjustly terrorized and abused, tortured and killed. And why? For no good reason. He loved others. He served others. He healed others. He taught and enlightened others. He saved the lost. He gave new life to the dead. He only did good. Yet for all that He did, many chose to not understand His actions, and ended up rejecting Him and crucifying Him. They prefered darkness over light. Such people lived 2000 years ago, and still live today. Some things don’t change with the passing of time. And yet, we all know that the story does not end in darkness. Death did not prevail over Jesus Christ. Evil does not win in the final analysis. Those who pursue violence and death, those who are filled with darkness and evil, will not have the last say! 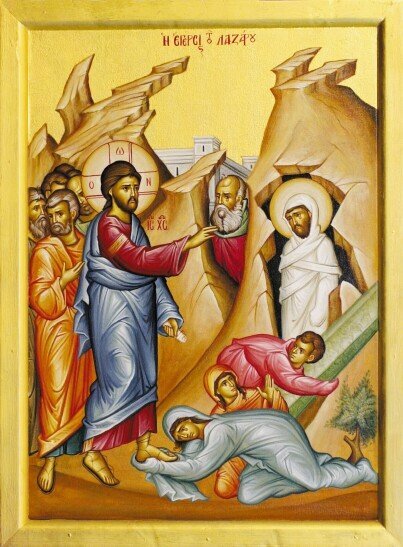 This is the Good News of Pascha we proclaim and celebrate today! Jesus endured the worst humanity could offer, taking the sins of the world upon Himself. We have a God who fully understands the suffering of humanity, the suffering of the Coptic Christians in Egypt, the suffering of the innocent victims in Syria, and the suffering of any victim of violence and darkness around the world. We have a God who has experienced the worst of humanity, and yet did not allow such darkness to overcome Him. In fact, He showed us that His divine light is always greater than any and every darkness! Think of our Church on this holy night engulfed in darkness. No one can see anything but a single light coming out of the altar. Jesus Christ, the light of the world, promising that anyone who believes in Him shall not walk in darkness but shall walk in the light of life. And when that light comes out of the altar, it is passed around to each and every person until the Church is ablaze in light! The light of Christ has chased away darkness and brought the light of His eternal kingdom to all people. Of course, this symbolic action has deep meaning in the world and in our lives. When we choose to live in the light of Christ, when we allow the light of Jesus do dwell richly in us, it changes our entire perspective on how we see and understand everything. Fr. Boulos George offered his sermon after the bombings in Egypt exactly from this perspective. Of course, those who choose to live in darkness will never understand his words. Someone in darkness cannot understand how one can forgive a terrorist, how one can love an enemy, how one can pray for those who wish us harm, and how one can thank those who do evil to us. It’s hard to comprehend, and yet it makes sense when we look at it from the perspective of our Risen and Victorious Lord. If we choose to participate, truly partake, in Christ’s Resurrection, our perspective of life radically changes! We will never remain discouraged; we will never lose hope; we will never despair; we will never allow darkness to prevail in our lives; for we know that Christ is Risen and He has defeated all darkness and evil. He has overcome sin. He has annihilated death itself! Through His resurrection, we see all of life through a joyous and victorious prism. This is surely the perspective that Fr. George had when he offered his sermon. We can’t stay hopeless when we know that we have a God who loves us so much that He willingly died in our place! We have a God who not only endured betrayal, denial, humiliation, rejection, and the most cruel form of death on the Cross, but a God who willingly descended into the deepest darkness of Hades to wrestle with the Evil One and break His bonds over us, destroying his power of sin, evil and death! When we allow the Risen Lord and His victorious resurrection to remain in the center of our lives, and when we choose to participate in this restoration of life, this resurrection from the dead, then joy, peace and hope will always dominate our perspective in life!